A global wide area network (WAN) should guarantee your company a consistently high-quality user experience anywhere in the world. A global wide area network (WAN) should guarantee your company a consistently high-quality user experience anywhere in the world. The success of your business – and your business applications – depend on it. Productive business users are paramount. A global WAN is a corporate asset, one that needs to be under the IT department’s complete control. You should be able to burst when bursting is needed, you should be able to assign services classes that meet your application performance requirements, and you should be able to deploy multiple virtual networks without service provider intervention if you so desire. All of that requires a WAN supplier that excels at network design and service delivery. How can you ensure this? In part, by asking the right questions. Here are five areas of technical leadership you’ll want your WAN supplier to posses – and questions you should ask to determine whether they have it. When it comes to a global network, the application user experience (AUX) rules. This has little to do with bandwidth and far more with jitter – a variation in the delay of receiving packets. Your service level agreement (SLA) should contain a jitter value of less than one millisecond, and your WAN supplier should be able to provide an AUX guarantee. You should be able to check, on a daily basis, what the supplier is providing your company. Ask them if they can provide a consistent user experience anywhere in the world and, when they tell you they can, ask them how they plan on guaranteeing that. The last mile is an important consideration when drawing up SLAs. Its impact on changes, tickets, and mean time to repair (MTTR) can be significant, so it’s worth checking that the WAN supplier will include the last mile in SLAs. Questions to ask your prospective supplier should include; for your last mile, are you provider-independent? Do you guarantee a clear channel on a point-to-point basis? Does your service provide a business continuity solution, using the Internet as a backup solution? Many carriers and telecommunications companies have grown through acquisition and they own some parts of the fibre transmission networks, switching assets, and legacy systems of the companies they’ve acquired. Before you sign a contract, make sure you understand the impact of their patchwork infrastructure on your global WAN. The first step in understanding that architecture is asking your supplier to provide those insights into the architecture that they’ll be provisioning for your network. It’s also worth checking if their network supports fast rerouting, that it can deliver Ethernet everywhere, and they are able to provide guaranteed clear channel without any oversubscribing. And, above all else, you need to find out how they will ensure seamless product and service delivery. Within a supplier’s monthly fee, changes, and change requests are often separate costs. These can be substantial. Since the WAN is your asset, you want to be in control of it at all times. Today, a mature service should let you use Software Defined Networking (SDN) principles. In essence, these let you manage a WAN as if it were a LAN. You can make changes immediately for user experience, bandwidth, quality of service (QoS), VPN provisioning, and more. Can your prospective supplier offer this? Cloud-based IT applications and services are becoming increasingly important, so cloud connectivity should be part of your strategy and connectivity. 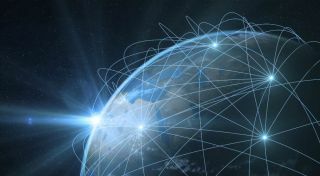 Global enterprises want the option and flexibility to connect to the major vendors such as Amazon Web Services, Microsoft Azure, and IBM Bluemix, so ensuring your prospective supplier can connect you to your vital assets in the cloud is paramount. Some suppliers may provide a “dumb pipe” to the cloud. However, what you should look for is the option to manage this connectivity, and you should be able to manage these connections as extensions of your WAN with full visibility and control. Technical leadership alone shouldn’t be how you measure your prospective supplier. You should also try to understand the business considerations; customer service/satisfaction, client support, SLAs, price, TCO, and invoicing. You should own the WAN. But you also want to work with a company that values you as a customer and provides a professional partnership. You should also expect a predictable cost model. That will let you manage your IT functions in keeping with company requirements and budgets. The managed network service provider you choose should be able to tell you what level of support you’ll be getting too, and you’ll also need to know who you will turn to if and when issues arise. Your Service Level Agreement (SLA) will describe the kind of experience you’ll have when doing business with a WAN supplier and they should answer these queries from the start. While price per GB is the metric most often used, by itself it’s meaningless. Instead, TCO should take into account secondary damage from a network malfunction, which can be significant. If your voice or Unified Communications solution doesn’t work flawlessly, it won’t be used. In turn, your ERP or CRM might not provide the desired user experience; that could jeopardise your manufacturing processes, delivery issues, marketing initiatives, order handling or order booking, resulting in frustrated sales and business staff. Providers are keen to sell you additional services, including VPNs, multicast, Quality of Service (QoS), visibility tools, and more. There are also application performance management tools that are implemented to improve predictable performance, leading to additional costs, investments and complexity. You should understand all this upfront. Negotiating a contract for a global WAN is a major undertaking. By asking the right questions from the start, you can make an informed and positive choice. If your potential supplier cannot answer your questions to your satisfaction, then you need to ask why you’re talking to them in first place.